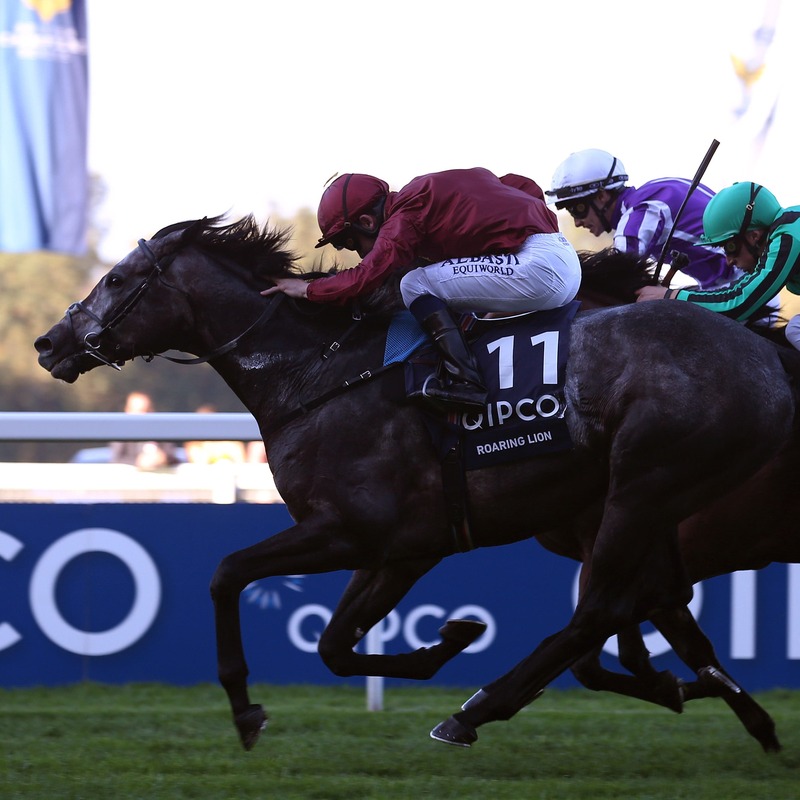 Roaring Lion justified the decision to drop the colt back in trip by landing a gutsy success in the Queen Elizabeth II Stakes at Ascot. A three-time Group One winner over 10 furlongs this season, the John Gosden-trained colt knuckled down to his task in admirable fashion to win in the colours of Qatar Racing, whose Sheikh Fahad sponsors British Champions Day with his brothers. Hey Gaman and Laurens set a strong pace from the start, before Century Dream made his bid for glory. Oisin Murphy produced Roaring Lion to challenge in the centre of the course and the 2-1 favourite did not flinch as he hit the front in the final furlong. I Can Fly finished strongly and was only a neck down at the line, while Century Dream was half-length away in third place. Gosden said: “Oisin said he hated the ground. That is no-one’s fault, it is very deep. He won on fast ground at Leopardstown and he is probably a good ground, good to firm ground horse. “He showed his class and I thought the jockey showed his class, as he did not panic. He could have panicked at the two and thrown everything at it, but he nursed him and got him there. “Having walked the track I reassured everyone it was fine, but it is real deep, autumn ground. He was not happy on it, but he had the class to do it. Full marks to the horse. He went on: “It was very brave of the owners to run, because he is going to stud and if had got beaten they would have done nothing but devalue their horse. It’s their sponsorship, so it is fantastic to win this race for them. He added: “He has never missed a dance and I think he will go to stud. I think that was his swansong and he will be greatly missed. However, while Roaring Lion will be retired to Tweenhills Stud at the end of the year, Sheikh Fahad could opt to run his star one more time – in the Breeders’ Cup at Churchill Downs. He said: “Roaring Lion has run his final race in Britain, but the Breeders’ Cup has always been an option and we are definitely not ruling it out just yet. “Today is Qipco British Champions Day and it is fitting that we celebrate Roaring Lion’s success – he should go out as a champion no matter what happens in America. “It is very important in a stallion that they can take their racing. We started in February, have been hard at it since then, and he is still showing all the right signs and credentials. Murhpy, who has enjoyed a magnificent season, said: “He’s an outstanding horse and how fortunate am I to be a part of Qatar Racing and Roaring Lion?